Sir Martin Sorrel surprised the global business, marketing and agency-world with his resignation. The long-tenure WPP group Chief Exec (33 years! ), founder of the world’s biggest ad agency group and the longest-serving FTSE100 CEO has left the role. 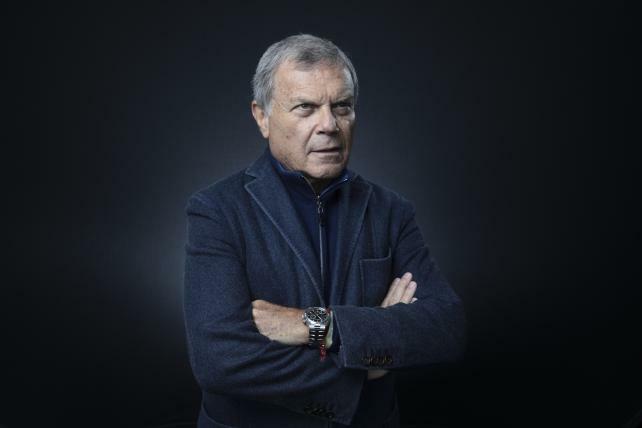 The news came after an internal investigation into an allegation of personal misconduct against Sorrell, which WPP said has now concluded (read more on Campaignlive.co.uk). Sir Sorrell led for 33 years a really big group of 405 (!!) companies, like GroupM, Mindshare (for media), J. Walter Thompson, Ogilvy & Mather, Grey, Wunderman, Kantar Group and many more. What happens in this powerhouse is important for the current state, and the evolution of the global marketing communications industry. Sorrell in 1985 first took a stake in Wire and Plastic Products, a British maker of baskets and household wares, following his search for a public company through which to build a worldwide marketing-services company. The company adopted the name WPP. It grew into the world’s largest agency company, with 2017 revenue of $19.7 billion and 134,413 employees. Secondly, Sorrell cultivated for long the innovation mindset of the entire industry. First, his marathon of M&As brought together for good the technology, data, and creative worlds to serve WPP’s global customers. This business plan has altered forever the old-logic of customer-facing service of agencies in almost every country. Every small agency was trying more or less to copy the model: technology, digital & social, creative, and media under one roof. Check one of his key interviews on MarketingWeek. Last but not least, he was regarded as a hybrid of a business guru and a creative ‘prophet’, 2in1, in the global marketing industry. Each interview of his was introducing a step change, or a trend to follow within the next 10 months. Possibly WPP brand personified with Sorrell will have to really rebrand and change. Then, there will be huge stock-market pressure for cost reduction and top-line improvement (this is what usually happens in a leadership succession plan). Why reduce costs? To meet their tough targets, and have cashflow ready to compete against the big-4 consultancies (that already bridge-in harder in the marketing and branding world) and the empowered Publicis Group and Omnicom group (CEO’s: Maurice Levy and John Wren respectively). One option might be to focus on strengthening the individual agencies so they can become more capable and useful for global and local clients. This will require new breed people with strategic skills, to compete with big-4. It will call for an improved scope of work planning and management disciplines and an improved focus on providing Consultative services (an area where agency teams are weak…). Fee declines will need to be reversed, but this can only be done when agencies improve their offering. Another possible option, currently pursued by Publicis, would be to transform the holding company into a single global agency and to downgrade the individual agency brands. This, too, will require new skills and disciplines and a reversal effort of declining fees. What can we learn from Sorrell’s departure? What Sorrell’s departure can teach us? Some quick-tips: Don’t ever personify a Brand with a one-figure (the usual approach and the succession problem for most marketing, advertising and PR agencies). It might prove tough to handle in future times and as we all know, Perception, Trust, Client Relationships, and Culture can’t be turned right or left easily. If you build the house on you (dear company leader), then there is an issue in succession cases and the whole Brand promise is affected more by your performance and reputation and less to the brand, its people, its services and attitudes. Choosing to develop the Brand character around one figure can be expensive and difficult work. I’ve grown professionally in the Marketing & Communication industry and I always followed Sorrell, within the context of updating and informing myself. So it’s only natural for me to say my own goodbye, by paying a sort of a tribute to him, reminding us all some of his most significant quotes. It’s not only Sorrell who was ‘marketing’ this quote for long; it was for years the mantra of global marketing teams, but through my agency years and later-on, in-house, I’ve never seen this really happening. Marketing cash-out was always treated as a cost (OK, it is) in the P&L, but not really regarded as a future growth, customer, and perception investment. Investing in Marketing still today it’s not the agenda of the corporate world, and especially for the companies that wish to grow their perception and sales’ growth. Especially today, in the context of Transformation, executives must realize that Marketing budget allocation should increase significantly to capture: a) technology investment in sales, marketing, and company’s own digital channels, b) the expensive and tough to tackle omnichannel customer journeys, off-and-online (channels and touchpoints increase), and c) the intensified competition no matter the industry you’re in. If you worry how to reduce expenses, search first improvements in outsourcing, partners, cost of goods sold, internal resources, possibly packaging, energy footprint of your company, but for the next 5 years, you should spend more in Marketing. Invest in your future positioning and markets. Sorrell was for long emphasizing the global branded experiences and events, trying to make the corporate world think and create such global ROI benefits for their businesses. He was using this approach when addressing big industries (tourism, energy, consumer electronics and scaled FMCG’s) to imply that paid and earned media should concentrate on globally visible, and big communication equities. That should be a big debate in the Marketing Communication industry, that for years break its resources in tiny little events and mini-activations (creating themselves more clutter). I remember, when in Ericsson, our global partnership with CNN putting our messaging int the global airport-lounges-hotel-media channels. It was one big activation. It gave us many earned benefits, and visibility to all B2B segments. It was one message, one channel, one campaign activation, for a significant period of time. I will always keep close Sorrell argumentation on this and I will work for long-term, thematic, branded, “global” brand experiences. This is devastatingly true and Sorrell insisted on this for years, internally and externally. The Marketing & Communication industry, especially Marketers and Agencies haven’t experimented in the last 10 years. Haven’t changed much in their operations, service ways, tools, or strategic approach. They repeat their routine, feeling safe? Are they satisfied by only reducing cost-base? Don’t they know how? They have too many policies to break? I’m not sure. Another area that troubled Sorrell was the routined agency structure; the usual account-creative-media hierarchies and related ‘bureaucracy’… that a) costs a lot to customers (increasing fees) and b) doesn’t secure innovation-technology-data-creativity as a unified service equation. This is another field where agencies haven’t innovated much, because basically, few have decided their purpose and positioning in the future, transformed, world. In 2014, I wrote an article at IPRA Though leadership essays and some of my former advertising colleagues were laughing at me, “that will never happen as you describe them“. Most of them are now searching their next career step, because they haven’t evolved, nor their employers. Today the issue us even graver. Companies and agencies hire content talent (community managers, copywriters, etc), but to keep the low-cost principle, they simply over-burden these employees with 5-10 different channels’ effort and hundreds of tasks. That doesn’t and will not ever work. This is the main reason why Content isn’t working, along of course with the facts of narrow web attention span and the digital clutter. Sorrell knew that he couldn’t expect results only by trying to break culture and silos of traditional agencies. This is why he followed the M&A path. All WPP’s individual companies were specialized and encouraged to stay that way. “People of specialist skills work best and contribute more when recruited, trained and inspired by specialist companies” he stated. He knew that a company must change from within to meet evolving needs of a customer – no matter the task or the industry. Sorrell has become the ­epitome of “Davos Man”, a keynote speaker in Sun Valley media summits, to the Cannes Lions festival, winning the respect of his rivals and the admiration of peers for turning advertising and marketing from a creative cottage industry into an efficient and global money machine. He was a down-to-earth capitalist and a visionary for his Group and the industry. 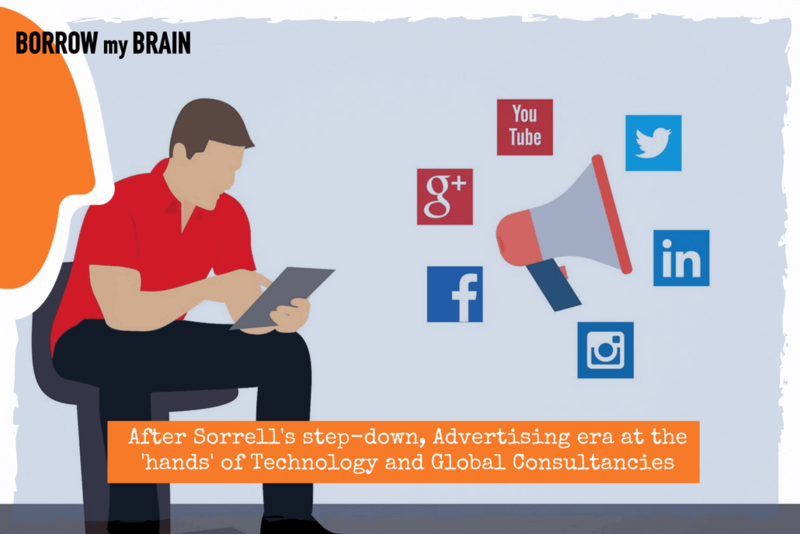 Another one nailed right… I remember being at February’s Mobile World Congress in Barcelona, and we went with colleagues to hear Sorrell’s talk ‘The Power of Apps’ explaining how Marketing Communications change. But it wasn’t simply a speech. His business increasingly revolved around mobile communications and what they can offer to the client. Still, today agencies are worried about revenue and customer business, but few try to improve their delivery and customer experience. Few really activate themselves on (real) digital or integrating tech tools (come one, I don’t mean shooting a product demo for Instagram…come on now, spear me…), although they know the most prevalent company/customer perception for them (let me give you quotes that Customers share with me) …”reactive“, “only if there’s a big budget“, “lack of strategic contribution“, “delay most of the times“, “poor service people“, and “average creative“. As long as the agency model is …highly paid senior execs, and low-cost, low-competence, untrained customer-facing employees… Companies won’t grow and Digital Transformation will not progress. Martin Sorrell was preoccupied with the innovation waves, first to sustain and grow its group performance, but then to be relevant with the new players (Google, Facebook, and Amazon). He bought highly paid agencies (for their customer-base) and he permitted the agencies to spend lavishly on salaries, headcounts, bonuses, parties and new business development “fat”. Marketers and Agencies and media houses haven’t yet realized that the new channels that will override them aren’t social media agencies (they will become in-house at the end), but the global platforms. Check Unruly and you’ll get my point. Amazon’s advertising business pales in comparison to the likes of Google and Facebook. Amazon doesn’t strip out its advertising unit specifically in its financials, but the company’s “other” revenue in North America — believed to consist mostly of ad revenue — grew 60% to $1.3 billion (data 2016). Nobody in the online ad business has more data about the way we shop, how often we shop, and what items we look at and decide not to buy. Last but not least, Sorrell was keen to explore the real next steps of the Global Marketing & Communication industry. At least this is what I get when I looked through his interviews explaining traditional versus digital channels. He explained that it was very fashionable to say (or just claim) you focus on digital when it accounted for 5% to 10% of spend, but now that these channels are growing in dominance and taking more budget, marketers are required to show its value, so the measurement needs to improve. Measurements? Still, a long way to go. I’ve seen recently an Advertisers’ brief targeting 18-25 adults, nationwide… Imagine how long it will take us to go in the next phase of understanding, creating competence, and use new marketing approaches. The real issue is at the hands of Marketers and if they, in the end, will transform their business model and operations and customer experiences. Because marketing an FMCG or an accredited B2B offering and simply putting those on Facebook won’t do. Won’t shave the day. Sorrell is leaving us with thoughts and stimuli. He is leaving WPP with a heritage but also a succession/leadership challenge …and who knows for Customers (latest news that Ford opens to other agencies). He is leaving the agency world with less global leaders and less brain-power to build and scale innovation. His departure signifies a new era. All of his stimuli that weren’t adopted by the global/local agency leaders are already adopted and implemented by the big-4 consultancies. The Sales funnel series – No1. Acquisition Borrow My Brain blog Borrow My Brain blog Is VR the next pit-stop for e-Commerce?